Want more leads, recruits, and sales for your network marketing business? There’s a not-so-secret secret, of today’s most-successful digital network marketers. Then it’s time to get started today (or get left behind)! There’s simply isn’t a more effective tool to convert traffic into leads, leads into customers, and customers into a sustainable, long-term business. And there are about a million ineffective ways to blog, which will eat up loads of time and get you nowhere. Let’s get clear on the challenges you face starting out (before we talk about how to gracefully overcome them). Today, over 3.5 MILLION blog posts went live. There’ll be even more tomorrow. Lots more. It’s useless, mediocre, uninspiring, inauthentic, impersonal, spammy nonsense NO ONE wants to read! Well, a few years back when marketers got wind that content is the most effective way to generate leads on the Internet today, they started producing content. Lots and lots of content. Millions upon millions of pages of utter CRAP! PEOPLE don’t want to read crap content. Matter o’ fact, search engines are actually penalizing spammy marketers of crap content. And no one’s going to share crap content they wouldn’t even dream of reading on social media. The jig is up for spammers! The days of hiring freelancers on the cheap to churn out 200 blog posts in a week—“spinning” and thinly rewriting previously posted articles—are over. Because there is almost ZERO competition for exceptional content! All of that crap content currently online creates the illusion of competition. Most of the content on the first couple of pages of Google results for any given topic (aside from the paid ads) was created years ago. You don’t have to blog every day, or every other day, or even once a week – especially if all you do is add to the pile of humdrum, mediocre, useless information that’s already out there. As a matter of fact, if all you’re doing is blogging for blogging’s sake, hoping you’ll stand out from the pile, you probably SHOULDN’T blog. Even if you think you’re creating “good” content. Because “good” content isn’t enough. The truth is that most of what’s published online goes unread. It just sits there taking up ones and zeros. It’s all “sound and fury, signifying nothing,” to quote Shakespeare. According to a joint study by Moz and BuzzSumo, analyzing over one million online articles, less than half of those articles received more than two shares on social media. And if it’s not read or consumed, “good content” is useless. All that effort to write and promote is wasted, if it’s not read, consumed, promoted, liked, and shared. So how is a brand new blogger supposed to survive? 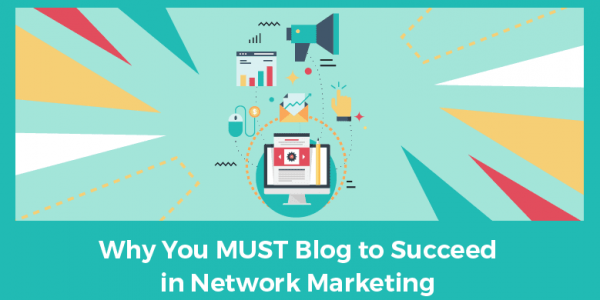 Well, you must create, share, and promote exceptional content on your blog. Because exceptional content is what gets you noticed, generates traffic, and creates relationship with your visitors. Exceptional content establishes your credibility and authority and positions you as a thought leader in your industry. Exceptional content earns you a higher ranking in the search engines. And exceptional content will become the backbone of your business and ensure your online survival. Is it easy to create exceptional content for your blog? (Which is why almost no one does it). Creating an exceptional blog will require time, commitment, deep research, and some degree of creativity. After all, your blog is your digital home – your digital resume, if you will. It’s the foundation of all of your online marketing efforts. You owe it to yourself to invest the time to fill it with extraordinary content. Is all your blog content going to be exceptional from the start? Probably not, but you have to start somewhere! You don’t have to be stellar right out of the gate. You just have to be better than the next person. Which, nine times out of ten, simply means you just have to start. Don’t spin your wheels or waste your time banging out pointless 500-word blog posts every day just to furnish your site with content. Trust me, after you’ve explored just a few of your competitors, you’re likely to find that you can do better. In fact, you can use your competition for content inspiration. Rand Fishkin, the co-founder of Moz, wrote an exceptional post called, “Why Good Unique Content Needs to Die,” where he offers a six-step process to help you analyze your competition. Notice the questions that your competitor’s blog addresses. What did you search for to find them? How well did they answer or address your search? What’s the quality of your experience in using your competitor’s site? Is it fast? Mobile-friendly? Easy to navigate? Is everything where you expect it to be, or do you need to click around to find the information you want? Also, is the information detailed and thorough? Is it exceptional? Or is it “fluffy,” lacking in meaningful detail? How well does your competitor’s site use visual content? Are there charts? Graphs? Diagrams? Video? Stock photos? Or just walls of words? What’s the readability? Are their strange fonts, colors, or other elements that interfere with your ability to see and understand the information? Is the writing easy to read? Are there typos? Misspellings? Grammatical errors that make you stumble when reading? Did an obvious intern write it? The cheapest freelancer at Fiverr? Or an expert who took the time to write it well? What is the quality of the data and information on the site? What is the source of the information? Are the sources credible, authoritative? Now, see what I did there—turning my research into original content by synthesizing my source material and citing its source? You can easily do that too. You don’t have to be the expert, you just need to do your research (hint: this is what authors do). Answering that question can lead you to creating truly exceptional content for your blog. If you take a day or two to analyze the first page of results for your competition, you’ll be well on your way to discovering where your blog can make an impact. And once you’ve discovered that, the fun begins. Remember what I said earlier about the illusion of competition? The Moz/BuzzSumo study of over a million online articles mentioned earlier identifies a “sweet spot” for the kind of content that gets the most shares and links. While more than 85% of the blog posts or articles online consist of less than 500 words, more than half of that content got fewer than two Facebook, Twitter, or Google+ (RIP) shares. The most shared of these are “how to,” “list,” and “why” posts. Nor are they concerned with establishing a reputation as a thought leader. The other online content that earns the most shares and links is video – specifically video designed for entertainment or education. Most bloggers never even attempt video, never mind think of ways to combine education and entertainment for their audience. For someone to actually find this piece online, what must they be searching for? What is the searcher’s intent? Is it to get a question answered or solve a particular problem? Is it to be entertained or amused? How urgently do they want this information? Where can I find credible sources for the information I’m about to deliver? What research do I need to conduct to address the issue thoroughly? Now that I know what’s missing, what can I do to provide useful, relevant information in a surprising, entertaining, authentic way? You just need to outrun the other person! Also remember: all that “competition” you think you’re seeing in the first page or two of Google results for your topic might just be an illusion. Most of what you see out there is worthless. Your blog will stand a good chance of ranking well and getting the likes and shares that drives clicks and eyeballs. But remarkable, exceptional content alone isn’t enough. Traffic from visitors who are already looking for you. But Just like the Google rules for content have changed, so have the rules for finding qualified visitors online. You can’t just spam a list, slime social media with garish hard-sell ads, or actively pitch your products on discussion boards. You could spend countless hours scratching your head over how to drive traffic to the exceptional content you’ve created. Or you could just get Google, Facebook & YouTube to tell you who is already ready to join your business and buy your products! Hint: people are already telling the social media platforms what they want and like, and you can get these platforms to tell you exactly what that is to target prospects like never before. You’ll learn about about the specific tools and techniques you can use to connect with prospects online, so you’ll never have to act desperate, chase down or strong-arm prospects, or deal with cold calling and rejection, ever again.